I am so exited to link up with the ladies over at Fancy Things & Let It Be Beautiful for this weeks Four Favorites. I've been eyeing this speckled nail varnish for quite some time so it's high on my wishlist. A black & gold studded Michael Kors bag that goes with everything. I really like the design & texture of this Cleobella bracelet. I am currently obsessing over tear drop earrings at the moment. What are your four favorites this week? Comment below and link up with us! I am not a fan of spicy foods - at all! 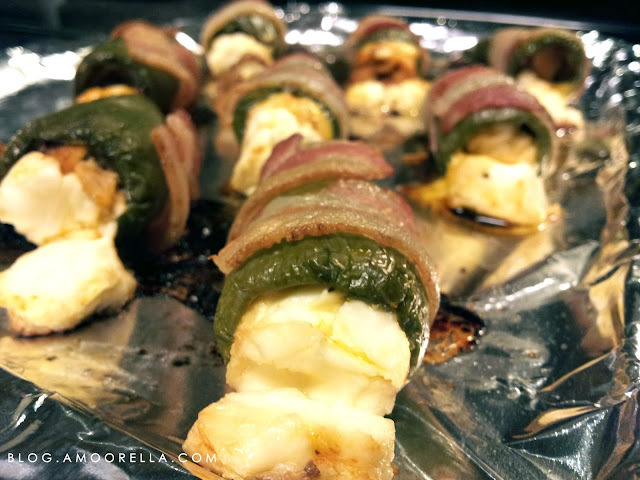 My sister and her boyfriend first introduced me to jalapeno poppers when they hosted a super bowl party last year and I was very skeptical at first since I don't do well with anything spicy. My outlook on spicy foods has changed after I took that first bite. 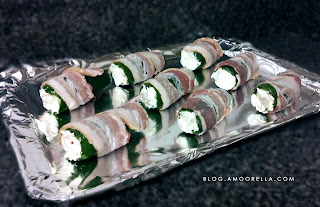 Every time I make these for guests they are a huge hit. These are so simple to make with just 3 ingredients. I have made these 2 different ways: as a whole (stuffed) jalapeno or as jalapeno poppers. 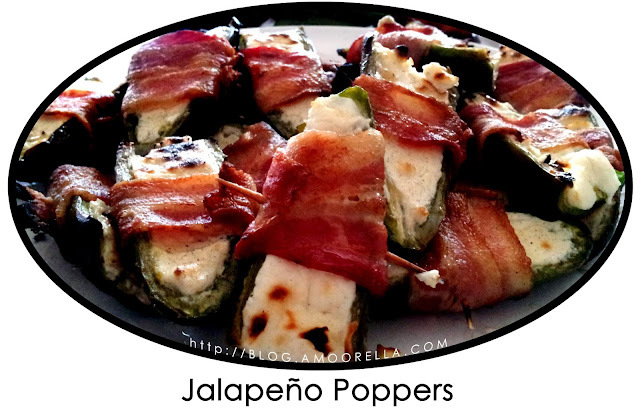 I personally like them better as jalapeno poppers since they are bite sized and much easier to eat. 2. Using a knife, cut off the top stem of the jalapeno then cut the jalapeno in half (length wise). 3. Using a knife or a spoon carefully remove all seeds. 4. 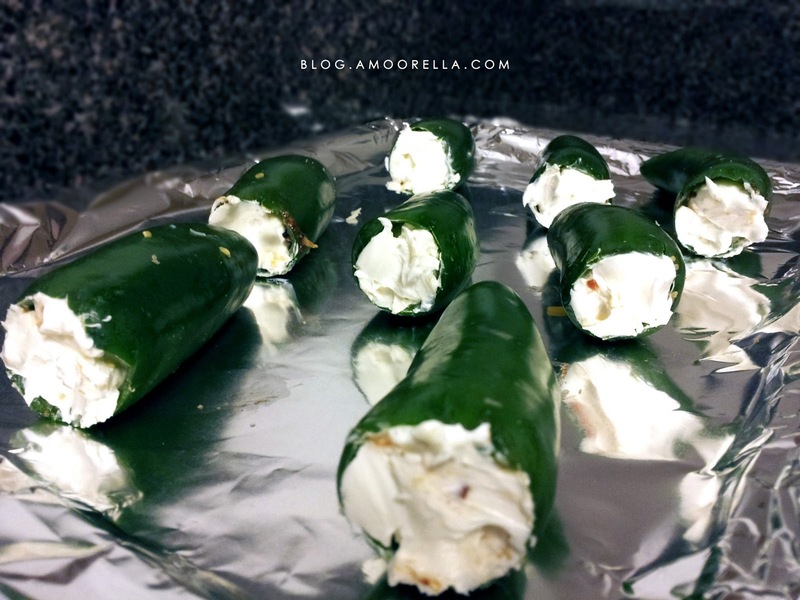 Using a spoon, fill each jalapeno half with cream cheese. 5. Cut the pre-sliced bacon in half. Wrap 1/2 bacon slice around each jalapeno. 6. Bake for 15-20 min or until bacon is crisp. Optional: For extra crispy-ness throw them on the grill for a few minutes after they are done baking. 2. Using a knife, cut off the top of the jalapeno. 4. 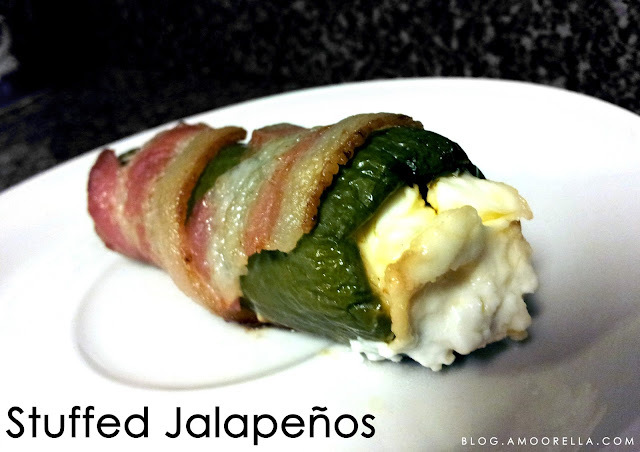 Fill the jalapeno with cream cheese. 5. Cut pre-sliced bacon in half. Wrap a 1/2 bacon slice around each jalapeno. - For extra crispy-ness throw them on the grill for a few minutes after they are done baking. - You can mix any other ingredients you want with the cream cheese before stuffing the jalapenos. As you may already tell I am a huge fan of all shades of pink. 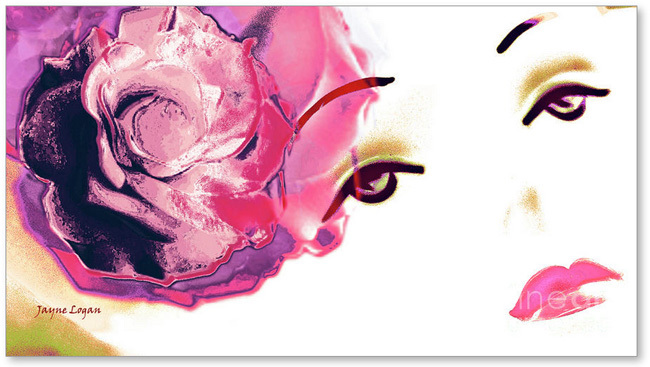 This is a gorgeous feminine piece of artwork that I would love to have in my office. Everything about this collage screams Spring which I think we are all desperate for! Need I say more about the "A Portrait of Beauty" photograph by Emily Soto? Stunning! Every girl should have a rosy pink lipstick in their makeup bag to grab as a subtle simple way to brighten up your skin. 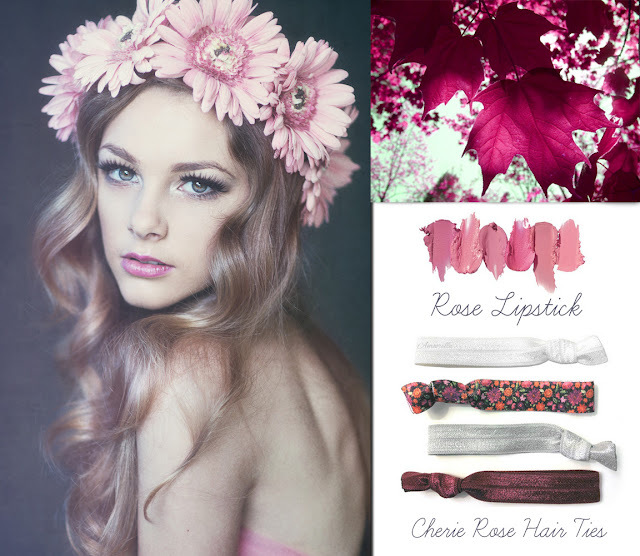 Have you ladies tried these flat elastic hair ties yet? They are super trendy and worn by celebrities. They are much more gentle on your hair than the traditional round hair tie and come in so many different colors & patterns! 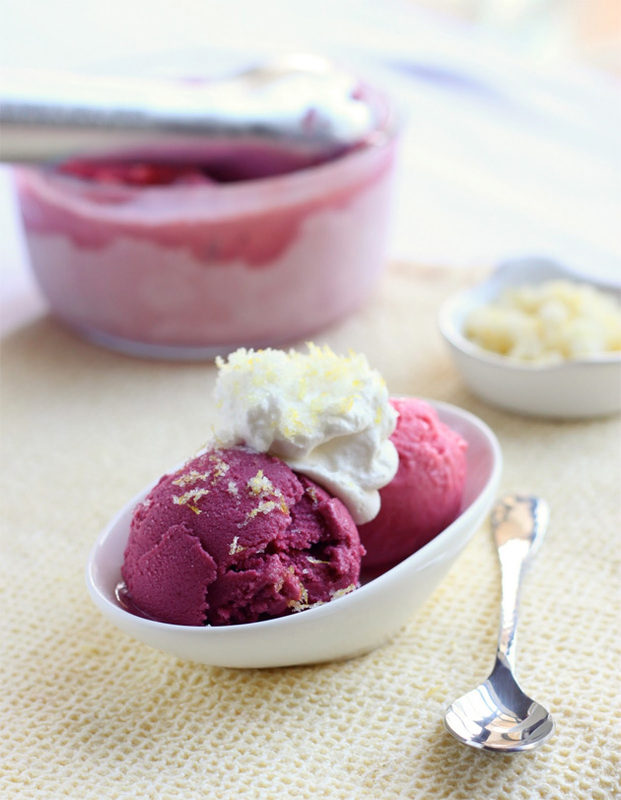 I am going to make it a mission to make my own frozen yogurt. I would love to hear about the things that inspired you this week. Please comment and share below! This week's Friday's Fancies theme is dedicated to the red carpet. How gorgeous is this cobalt Marchesa gown? I think cobalt blue is such a stand-out color and red lips paired with these Christian Louboutin's add a bit of contrast. What better way to complete the look than with a silver sparkle Jimmy Choo clutch. Simple and elegant. This is my first Friday's Fancies and I am so exited to link up with everyone over at Long Distance Loving! Hope everyone has a wonderful weekend!